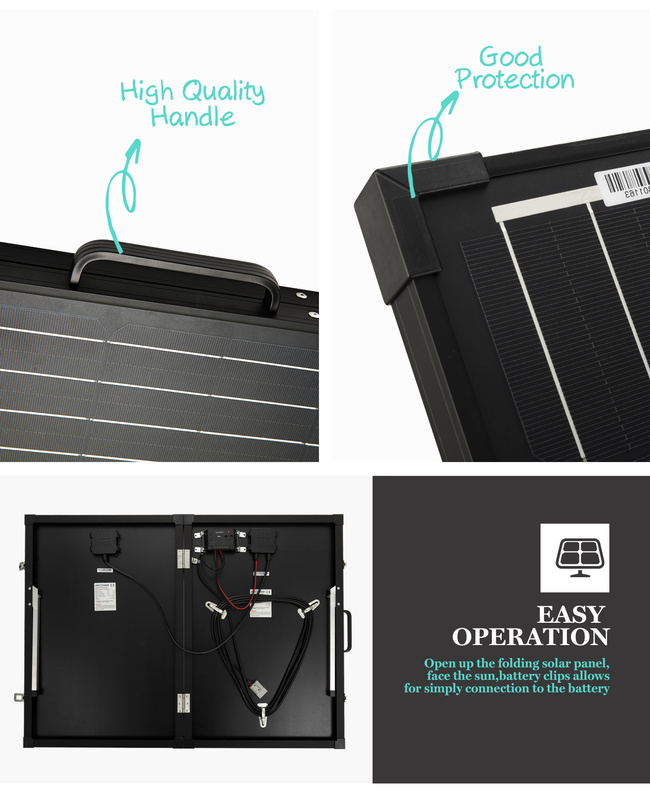 When you are on the road,you may need flexible power support,nothing beats the eco-friendly nature of solar power!The 160W folding solar panel is a handy,portable device that's ideal for camping,caravanning and most outdoor activities.It's designed with german standard monocrystalline cells that guarantee you an effective output.It has a foldable design so you can take it wherever you need it.And thanks to its sturdy legs,it's able to support itself and have stability on uneven surfaces,in strong winds,and tough weather conditions.Best of all,there's no diy required-it's ready to use anywhere,anytime. 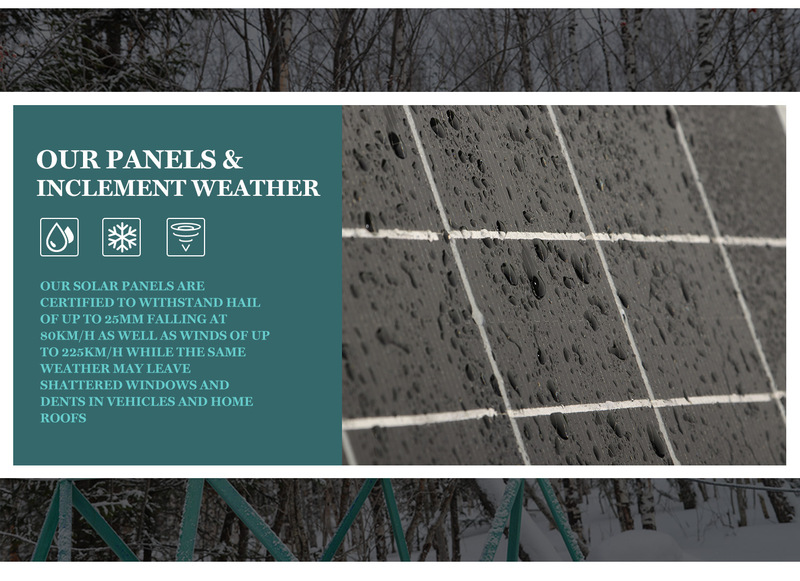 The panel is constructed solidly and with corner protectors so as not to damage it when moving.It can be folded neatly in seconds,and it conveniently portable with its sturdy carry handle and light-weight aluminium frame.Packing up is easy as well since the kit comes with a heavy-duty carry bag for easy carry and for extra protection of the panel when travelling or when not in use.Now,you and your loved ones get to enjoy power while camping-bring out a portable solar panel with you and access solar power anythere!Buy one today! 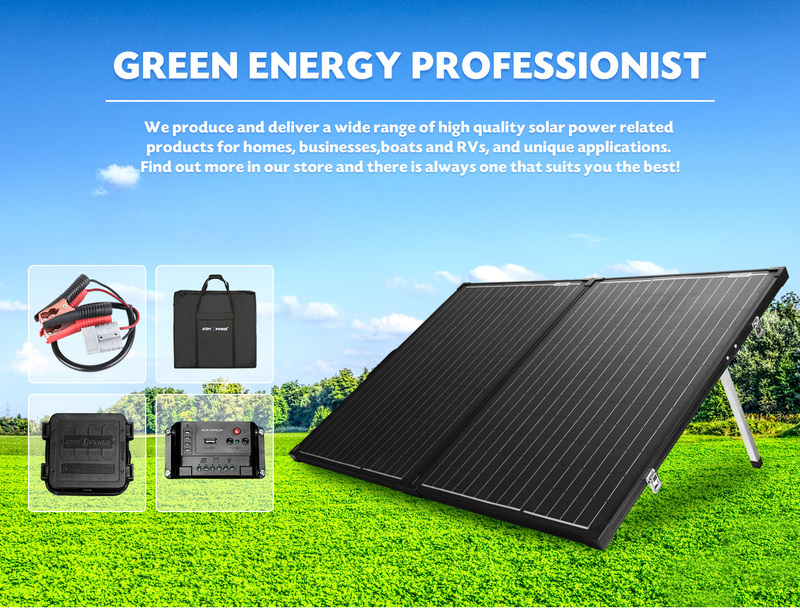 ATEM POWER Solar panels adopt World leading Solar PV cells---"Sharp", the prodigy with absolutely highest efficiency achievable! 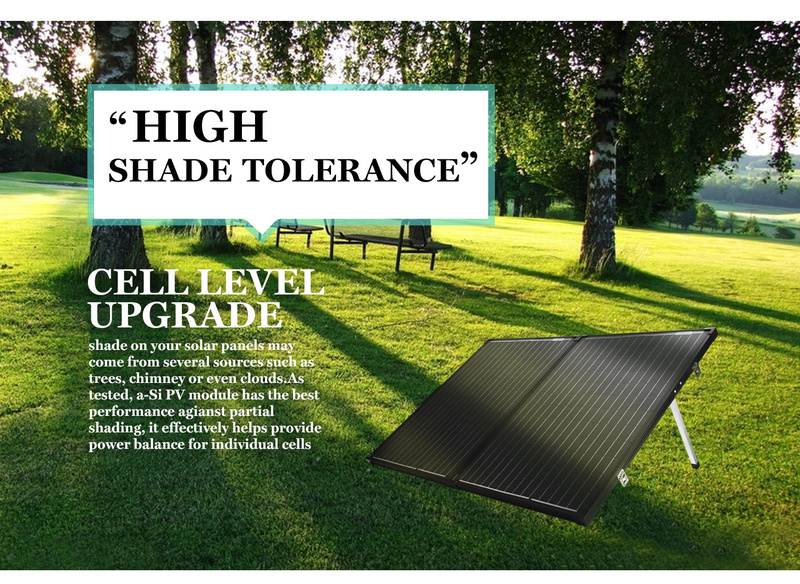 Sharp PV technology excels in domains of either dometic or camping installation. 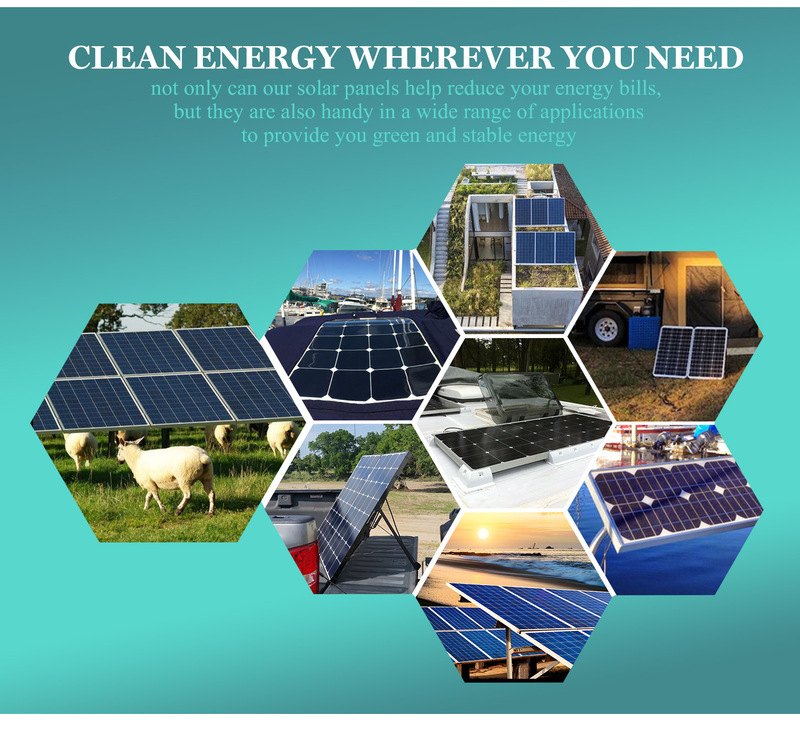 Solar power is collected and transformed in advanced by "Maxeon" Cells!